A 457 visa is the visa most commonly used when a foreign worker comes to Australia to temporarily join the workforce. The 457 visa is also referred to as a Temporary Business (Long Stay) visa. Because this visa is intended for people who will live and work in Australia for a lengthy period of time, those who obtain a 457 visa must make plans for semi-permanent relocation. This means securing health insurance to provide medical coverage while in the country. Want to live and work in Australia? A 457 Visa allows you to do so for up to four years. A requirement for applying for this visa is adequate private health cover. This applies for any application granted after 14th September 2009. There are minimum coverage levels required for application. Ahead, we’ll cover the types of policies that are accepted. 1 What is a 457 Visa? 2 Why Obtain a 457 Visa? 3 What is 457 Visa Health Insurance? 4 What are the Minimum Coverage Levels Required for 457 Visa Health Insurance? 5 Are You Covered by a Reciprocal Health Care Agreement? 6 What Types of Coverage Do You Get Under a Reciprocal Health Care Agreement? 7 Should You Purchase Only Minimum Coverage? 8 How Do You Prove You Have 457 Health Insurance? An Australian employer must be approved by the Department of Immigration and Border Protection as a sponsor. The employer must have a position for a skilled worker and must nominate a foreigner for the job. There is a Skilled Occupations List that specifies what types of jobs are considered “skilled” work. Jobs on the list include child care centre manager, engineering or production manager, architect, surveyor, civil engineer and many other professions. The employer must submit an application to sponsor and nominate the skilled worker. The worker must also apply for a 457 visa. The applications submitted by the employer and worker may be submitted concurrently. The worker must have a valid passport from his or her country of origin. The worker must meet minimum English language requirements and demonstrate a level of skill and qualification appropriate to his or her position. The worker must undergo a health check and obtain 457 visa health insurance. 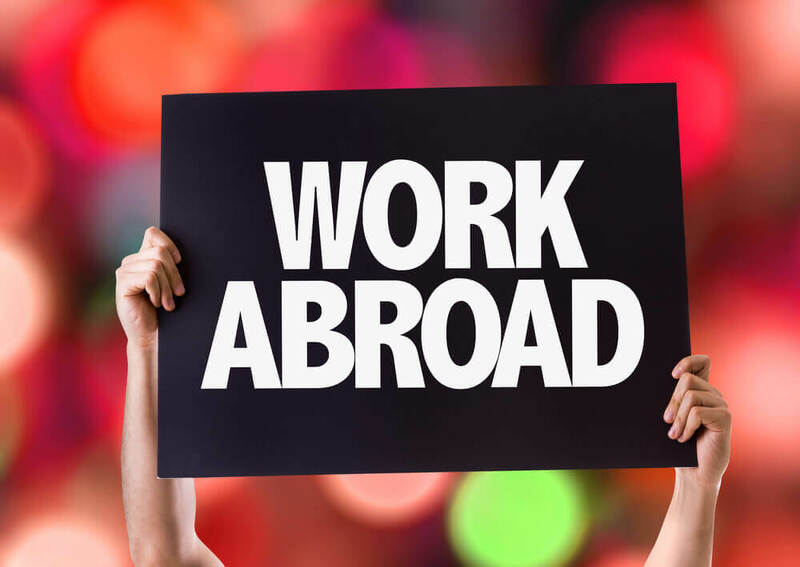 An employee who comes to Australia on a 457 visa must continue to work for the sponsoring employee for the duration of the time that he or she is in the country. In order for a worker to transition to a new employer, the employer would need to go through the process of becoming approved as a sponsor and nominating the employee. Why Obtain a 457 Visa? Work and live in Australia for up to four years. Bring family members including dependent spouses, dependent children and other dependent relatives into Australia to live and work. Transition to permanent residency after two years of working for the same employer, provided the employer has made a full-time position available. A 457 visa is beneficial both to workers interested in advancing their careers in the Australian economy and to employers who want to take advantage of an international pool of qualified workers. What is 457 Visa Health Insurance? The Department of Immigration and Border Protection states that anyone whose subclass 457 visa was granted after 14 September 2009 is subject to visa condition 8501. Anyone who applies for a 457 visa is also subject to this condition. Visa condition 8501 stipulates that: “The holder must maintain adequate arrangements for health insurance while the holder is in Australia.” Obtaining 457 visa health insurance is thus a condition of being approved to enter Australia to live and work on a 457 visa. 457 Visa health insurance may be obtained from a private health insurance carrier that offers this type of policy to visiting foreign workers. Under some circumstances, visa holders may also enroll in Medicare, which is Australia’s public health insurance option. Those who are eligible and who enroll in Medicare will be considered to have meet the 457 visa health insurance requirement. What are the Minimum Coverage Levels Required for 457 Visa Health Insurance? 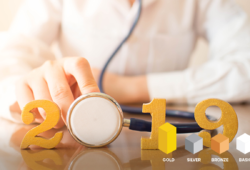 The minimum health insurance benefits are set forth under Attachment A of the health insurance standard template letter available on the website of the Department of Immigration and Border Protection. Treatment in a public hospital including coverage for overnight accommodation; emergency department fees; admitted patient care and post-operative services. The coverage must be equal to the State and Territory health authority rates. 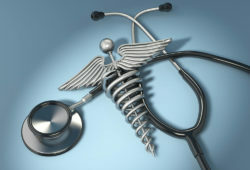 Surgically implanted protheses up to 100 percent of the minimum benefit amount listed in the Private Health Insurance Rules 2007. All drugs listed in the Pharmaceutical Benefits Scheme (PBS) that are prescribed according to approved indicators. Admitted medical services that have a Medicare Benefits Schedule item number. 100 percent of ambulance services not otherwise covered by a third party if the ambulance is necessary for admission to a hospital and is provided by a government-approved service. The health insurance policy must also make membership eligibility available so the insured can give informed financial consent, and the insurer must not impose waiting periods greater than 12 months for pre-existing or pregnancy-related conditions. Are You Covered by a Reciprocal Health Care Agreement? Detailed information about the Reciprocal Health Care Agreement that Australia has with each country can be found on the website of the Australian Government Department of Human Services. The types of coverage vary depending upon the workers country of origin. For example, residents of New Zealand, the Republic of Ireland, Finland, Norway, Sweden and the United Kingdom are covered for the length of the time they are in Australia. Visitors from other countries like Belgium, Slovenia and the Netherlands must enroll in Medicare and provide their insurance card. They are eligible for benefits only until the expiry date shown on the card. Workers covered by a reciprocal health agreement can meet their 457 visa health insurance requirements by obtaining Medicare coverage provided this coverage remains valid for the length of their stay in Australia. What Types of Coverage Do You Get Under a Reciprocal Health Care Agreement? Depending upon their country of origin, workers who obtain coverage under a reciprocal health care agreement may be covered only for treatment that is “medically essential.” This is limited to injuries or illnesses that occur in Australia and require treatment prior to returning home. Workers from certain countries such as the United Kingdom, Sweden and the Netherlands will have broader coverage. For example, workers from eligible countries can receive in-patient and out-patient treatment; subsidized medicine under the Pharmaceutical Benefits Scheme, and Medicare benefits for out-of-hospital treatment that a doctor provides. It is important to determine the extent of coverage available under the reciprocal health care agreement to ensure it not only meets minimum 457 visa coverage requirements but also provides sufficient coverage to meet a worker and his family’s actual medical needs. Should You Purchase Only Minimum Coverage? Workers must purchase the minimum required coverage to be qualified to enter and remain in Australia with a 457 visa. The insurance must be purchased for all family members who accompany the worker into the country. For eligible patients, Medicare covers only 75 percent of hospital services and pays only up to the fees specified on the Medicare Benefits Schedule (MBS). 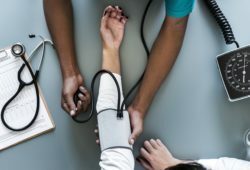 Workers may wish to purchase a private health insurance policy to avoid having to privately pay for a portion of care costs and for doctor fees above the MBS. Minimum coverage may limit a worker’s choice of care providers. Workers may be restricted only to treatments in a public hospital. Dental treatment, physical therapy, occupational therapy, eye care, natural therapy and chiropractic treatments are not covered by policies that offer only minimum required coverage. It is important to carefully review the specific services and treatments covered by your health insurance fund when choosing 457 visa health insurance. How Do You Prove You Have 457 Health Insurance? When applying for a subclass 457 visa, workers must provide evidence of insurance cover for themselves and their families. An insurer must provide a letter or certificate indicating that the worker has purchased a health insurance policy that provides at least the minimum required 457 health insurance coverage. Those who do not comply with a visa condition may have their visas cancelled and may not be approved for subsequent visas. To avoid this pitfall, shop for private health cover today.